Why it matters: For some people, the S-pen stylus that comes with Samsung’s Galaxy Note phones is one of the handsets' best elements, and there’s a chance it could gain extra functionality. According to a newly granted patent, the company may add a camera with an optical zoom into the pen. 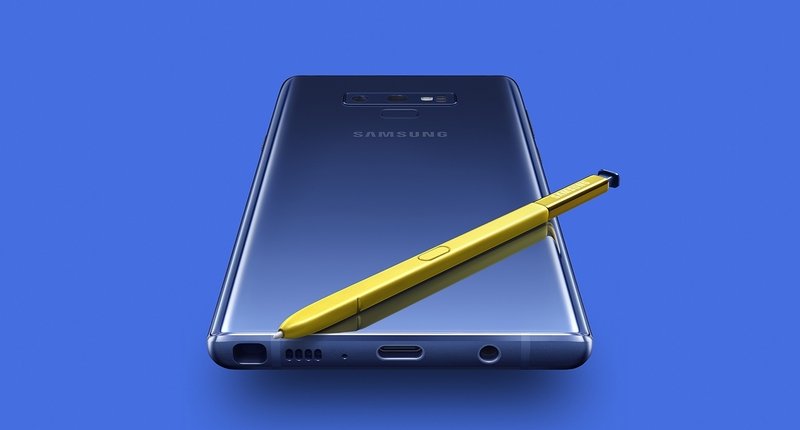 With the Galaxy Note 9, Samsung added Bluetooth capabilities to the S-Pen, allowing it to be used as a camera shutter button for taking photos, controlling media, and for flipping through slide presentations. It appears that the feature could also be utilized to send images back to the phone (or tablet) if a camera is added to the stylus. First spotted by Patently Mobile, the patent was filed with the US Patent and Trademark Office back in February 2017 and granted yesterday. It describes an "electric pen device" with an "optical system including a lens and an image sensor", allowing a camera to be "controlled from the external electronic device." Due to the thinness of modern Smartphones, optical zoom functions have proved difficult to implement, with most handsets using artificial digital zoom systems that don’t always offer the same quality. Adding a camera to an external peripheral such as the S-Pen with a button used to control the zoom could get around this issue. Additionally, the pen would offer more versatility when taking photos, letting users get into positions that would be awkward if holding a phone. The Note’s screen, meanwhile, would be used as a viewfinder. As with all patents, there’s no guarantee a camera-loaded S-Pen will ever become a reality. But it’s certainly an enticing prospect and one that could help boost sales of Samsung’s flagship.